In my previous post (chicken a la king filled pancakes), I touched on how the former generation were adept in turning a handful of basic ingredients into mouthwatering meals. 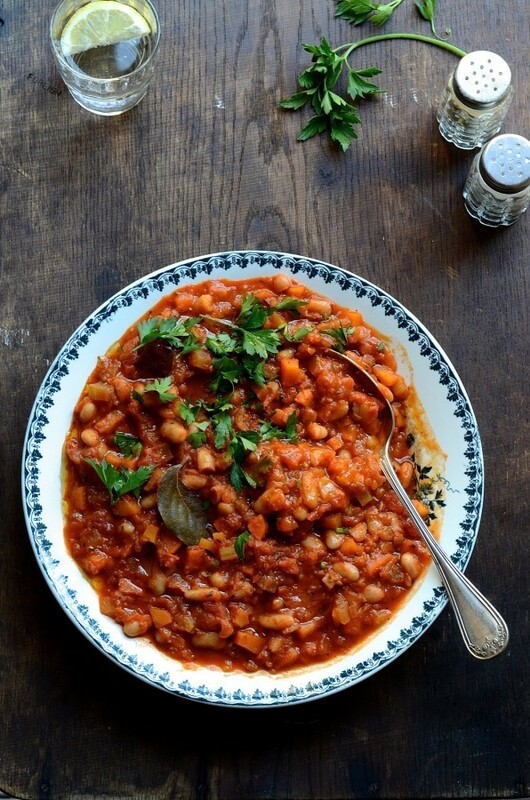 This fennel and cannellini bean stew is testament to how savvy cooking with produce that’s cheap and cheerful can also be wholesome and thoroughly delicious. Credited with a host of health benefits, beans are a cost effective plant-based protein that’s both versatile and in my opinion, a must have pantry staple. When I think of tinned foods, Koo baked beans automatically spring to mind. Call it habit or lack of alternate options, this was the dependable brand my mum loaded into our monthly shopping trolley. In fact, if there was a special running, she’d bulk buy which meant baked beans for us until kingdom come! 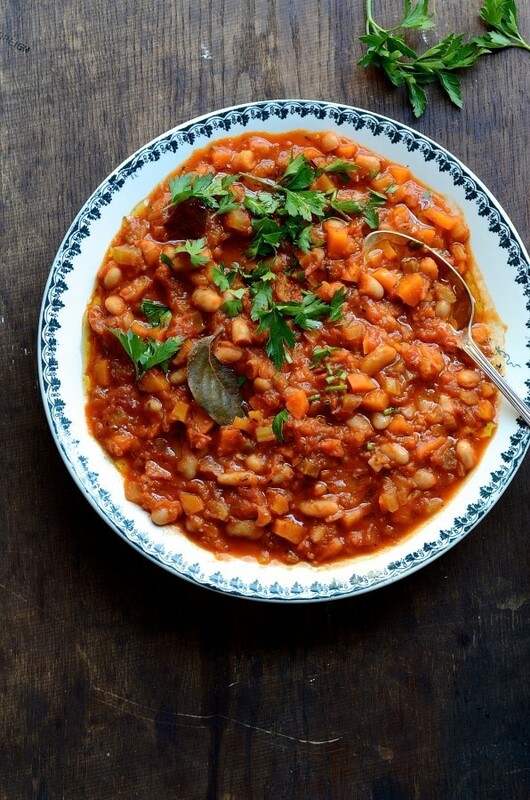 For years after I left home, beans didn’t feature anywhere on my list of foods to eat. A case of too much of a good thing maybe? Thankfully I’ve come full circle and am now totally obsessed with all bean-based dishes, be it Mexican, Middle Eastern or Italian. On my recent Italian food adventure, I ate my first ever goat and pigna bean stew in Apricale, a quiet Medieval village in Northern Italy. It’s left me longing to return, if only to rekindle the smells and flavours of authentic slow food culture. Back to this bean stew. The burnt clay-red colour speaks of tomatoey goodness with flavours that leans towards Italy. Think fennel, rosemary and soft-centred cannellini beans. Most stews, whether meat or vegetarian based, start with a soffrito – onion, carrots and celery. 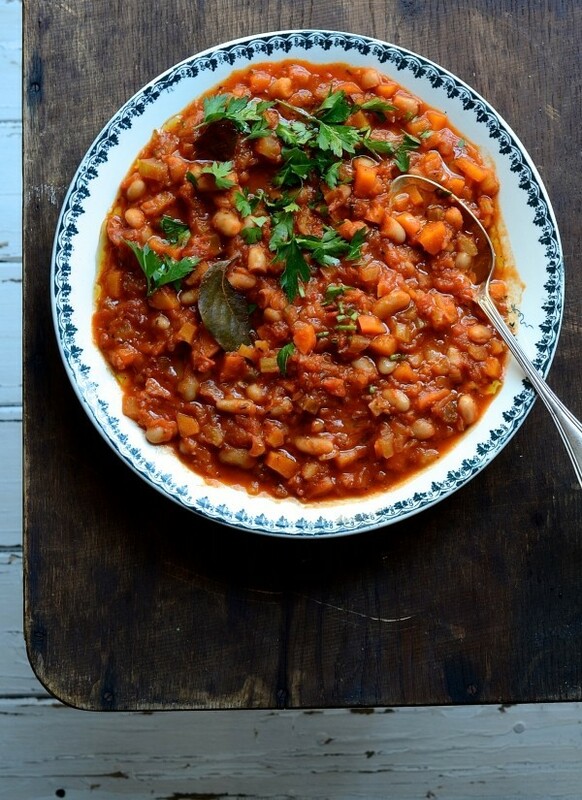 You can use any beans really, but I find the creaminess of cannellini beans perfect for this dish. If you’re serving the stew as a main for Meatfree Mondays, I’d add a good sourdough bread and crisp green salad. 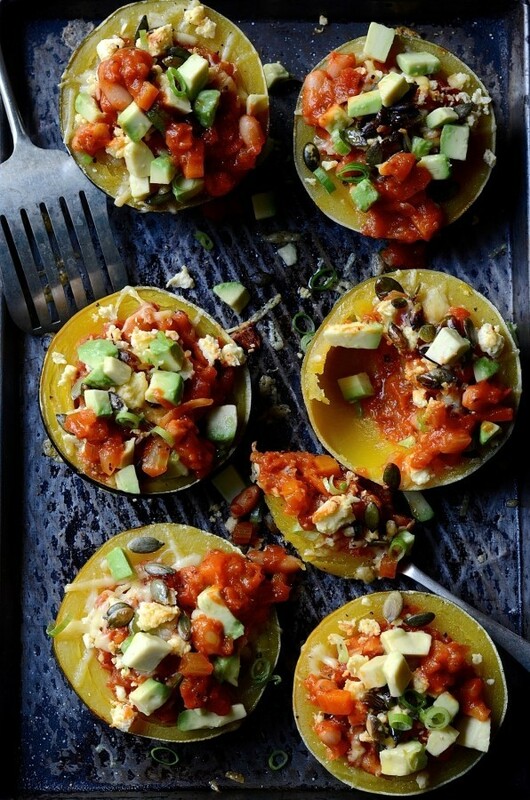 Should you have any leftovers, fill cooked gem squash with the bean stew, top with feta and pumpkin seeds. 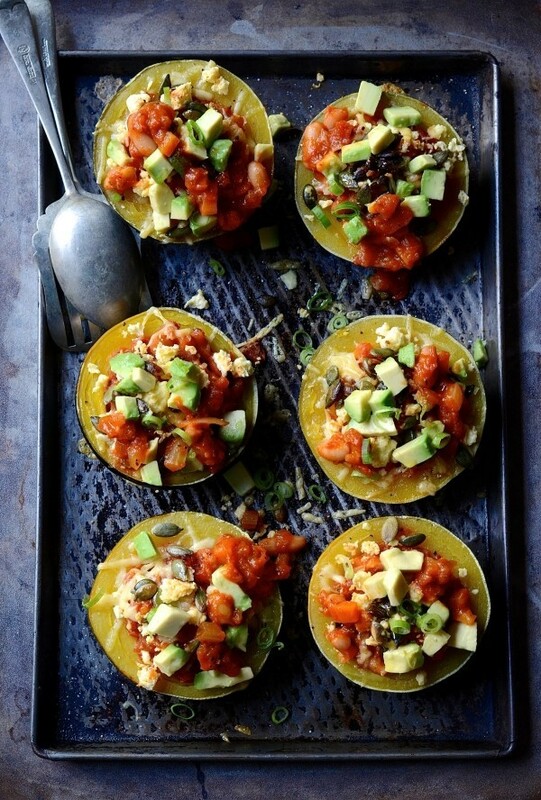 Place under a grill until golden and then scatter with a handful of spring onions and diced avocado. A two for the price of one recipe! Heat the olive oil in a pan and sauté the onion, carrot, celery and fennel until soft. Stir in the garlic and cook for another minute. Add the chopped tomatoes, tomato paste, sugar, bay leaves, rosemary and vegetable stock. Cover with a lid and simmer for about 50 minutes until the vegetables are tender and the sauce is thickened. Add the beans and stir through. Season with salt and freshly ground black pepper. Cook for another 5 minutes. Top with parsley and serve with crusty sour dough bread and a green salad. This stew looks like comfort in a bowl. I’d love it served with some warmed roti and a dollop of yoghurt! I’m with you on this one. Actually, anything with a buttery roti sounds just about right! And we can eat heaps and feel better for it. Huge bean fan here!